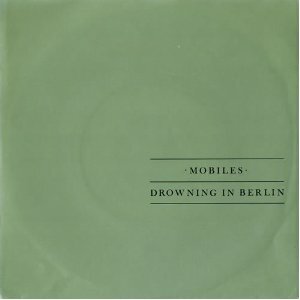 The Mobiles "Drowning in Berlin"
English Synthpop band The Mobiles scored a #9 hit with Drowning In Berlin in 1981, and, sadly for them, it became a hit wonder. I really like the Top Of The Pops performance featured in the video clip above, and the sound reminds me of Toyah. The follow-up single Amour failed to break into the Top 40, stalling at #45. The song was the title track to the band's only album. This has to be one of the most dull-looking, uninspiring single sleeve designs I've ever seen! Whoever designed it, what were they thinking of?